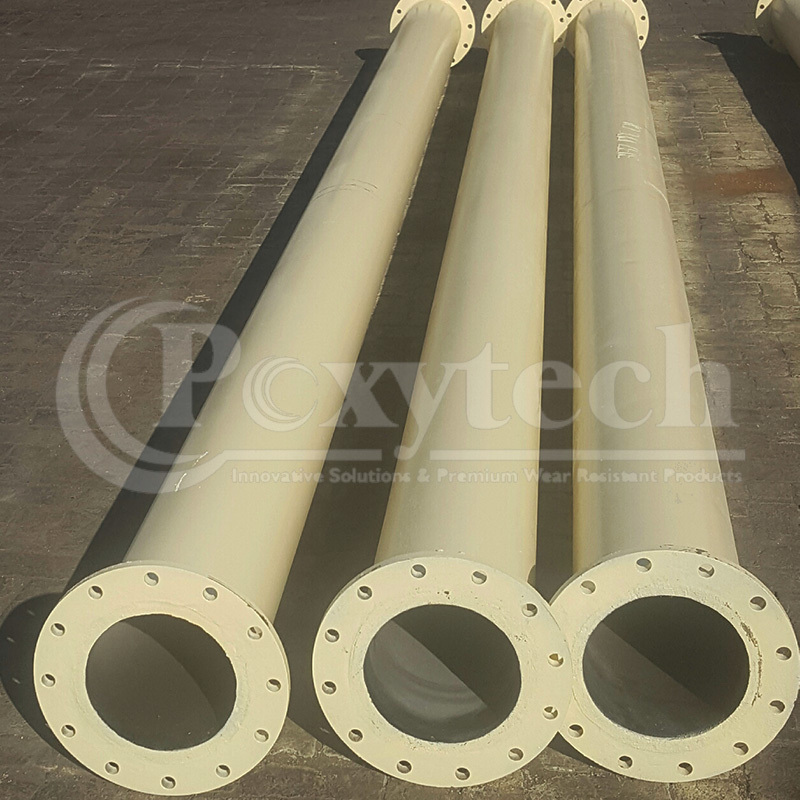 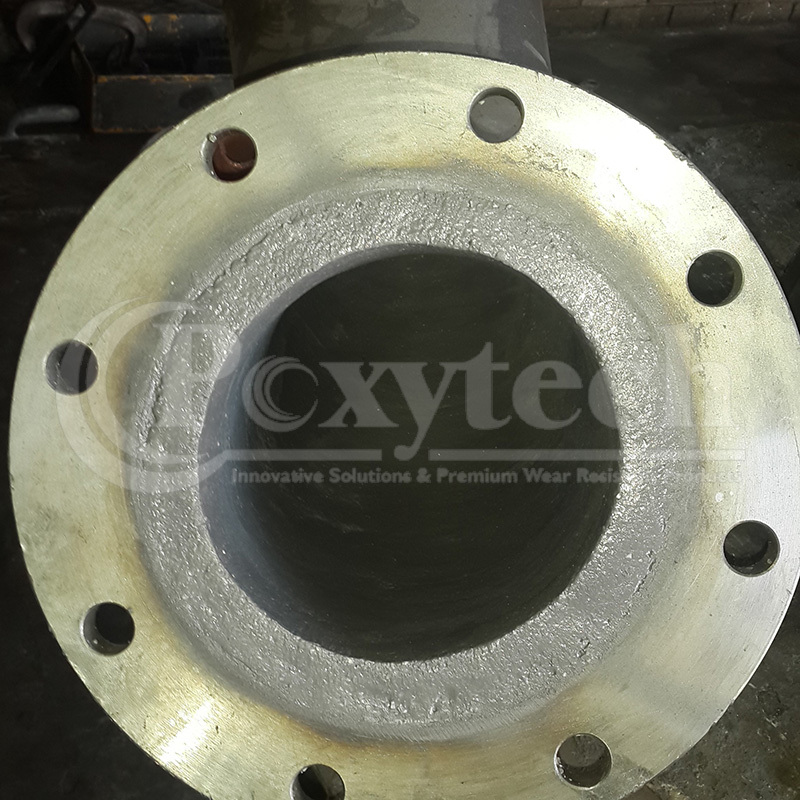 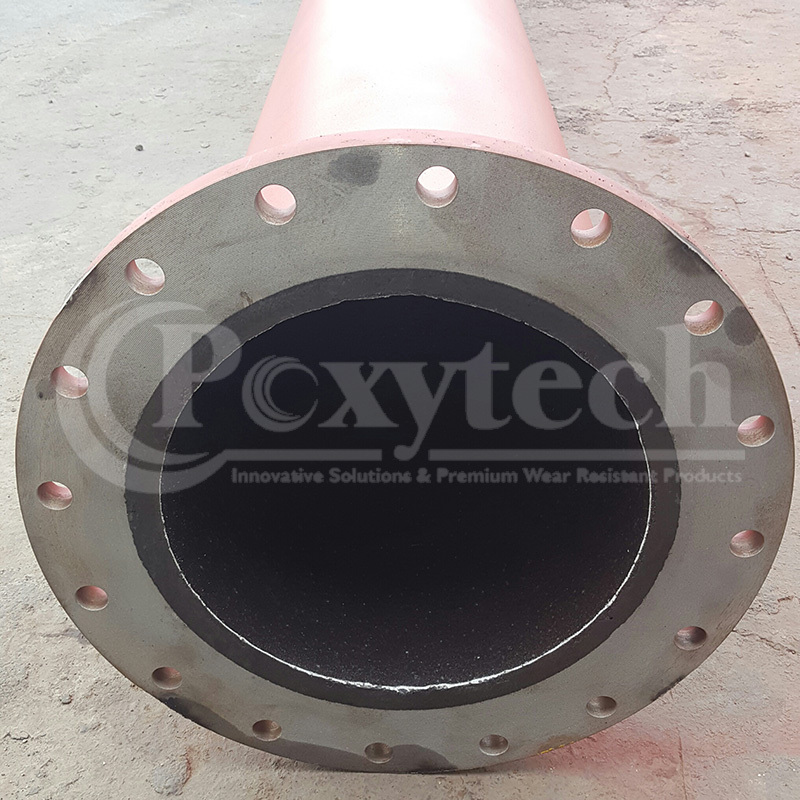 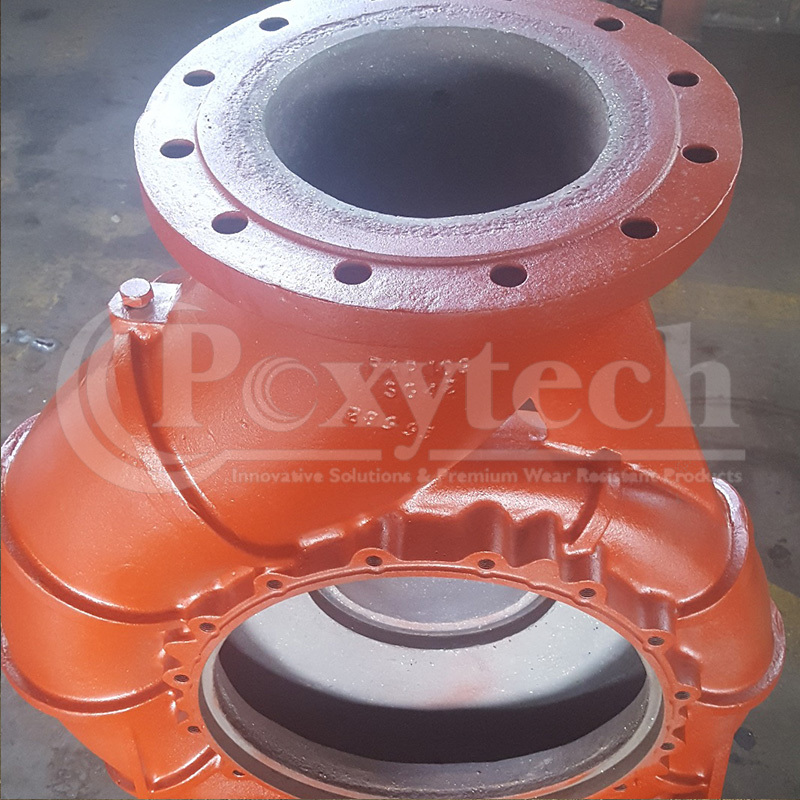 POXYPASTE – Ceramic lining is a 100% solids modified epoxy resin system containing sapphire hard alumina ceramic beads to withstand severe cavitation, tough abrasion and moderate impact. 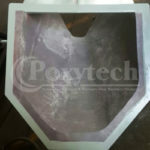 POXYPASTE – BBS101is applied to the prepared surface with a trowel or by hand at the required thickness, from 3mm upwards, depending upon the application. 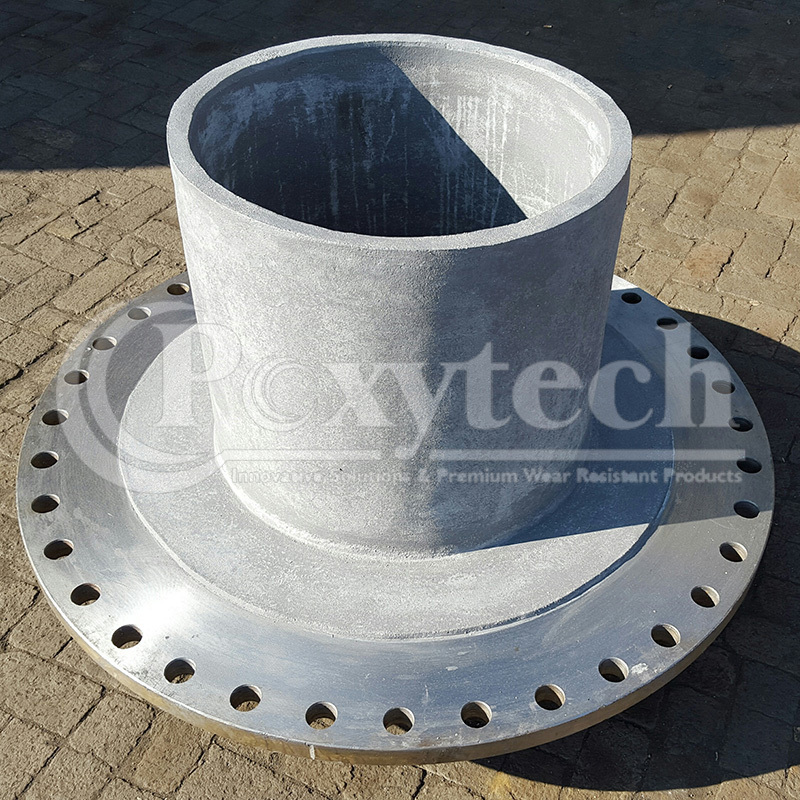 A properly prepared surface is important to the end result and lasting durability of POXYPASTE – BBS101.Steel surfaces should be dry grit blasted to SA 2.5 with blast profile between 50-70 microns to leave the surface free of oil and grease contamination. 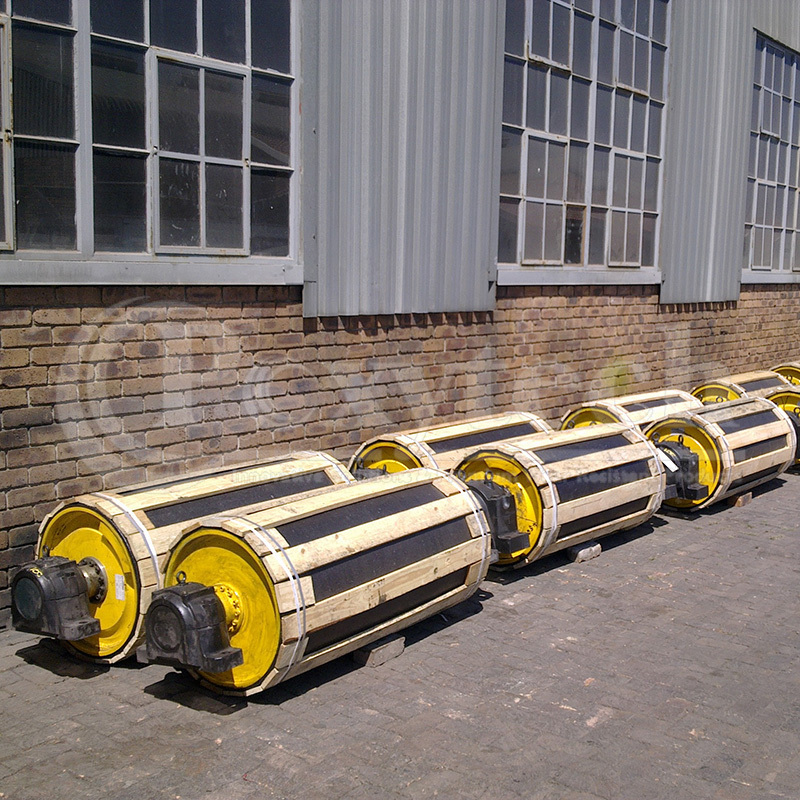 In cold conditions it is recommended to warm the substrate to 20-35oC. 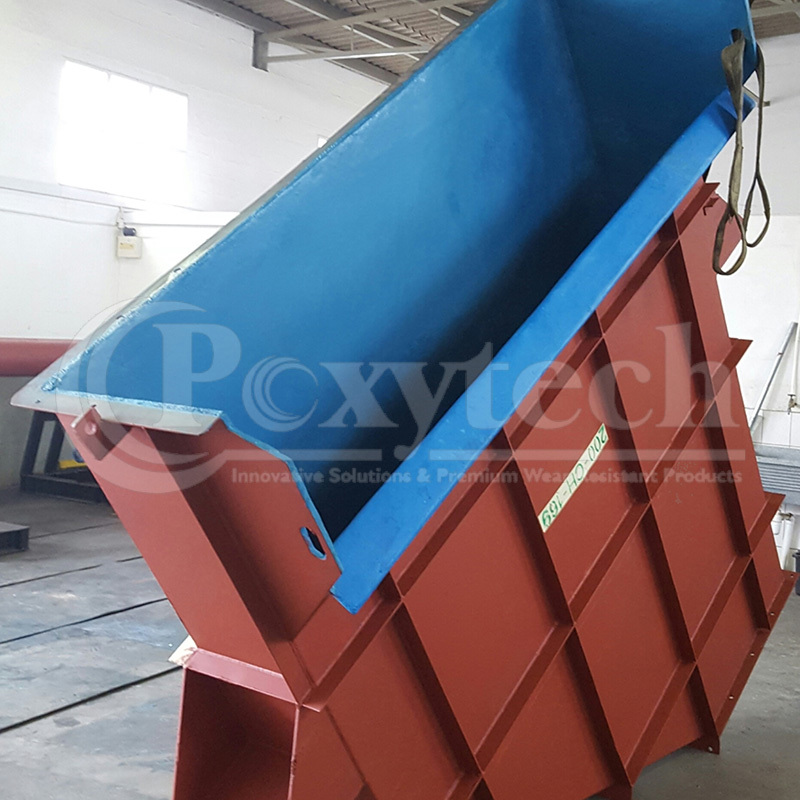 POXYPASTE – FCS104 is applied to the prepared surface with a trowel or by hand at the required thickness, from 3mm upwards, depending upon the application. 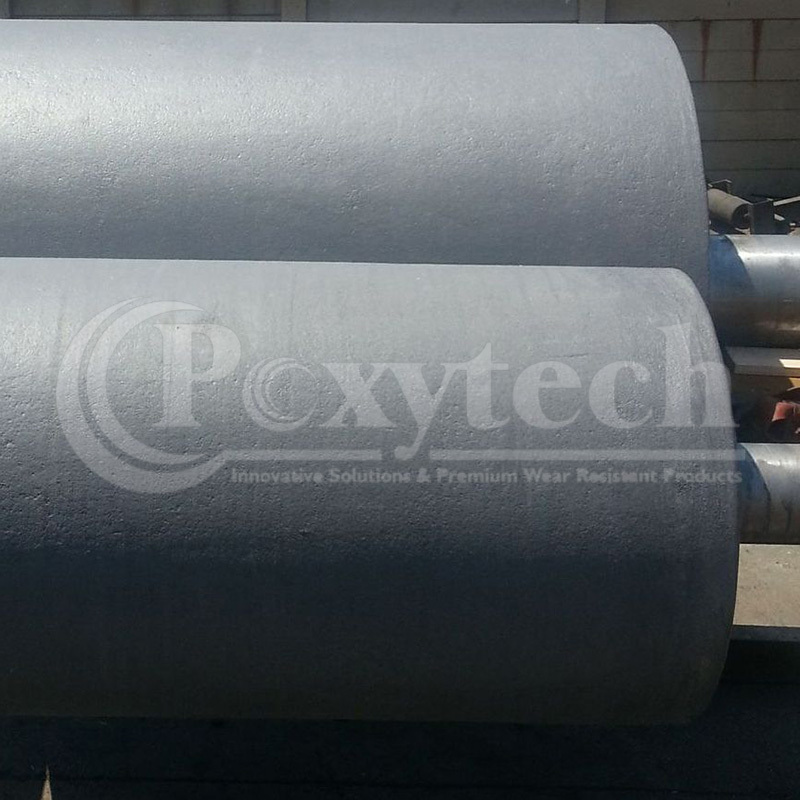 A properly prepared surface is important to the end result and lasting durability of POXYPASTE – FCS104. 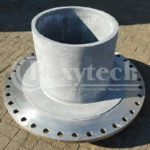 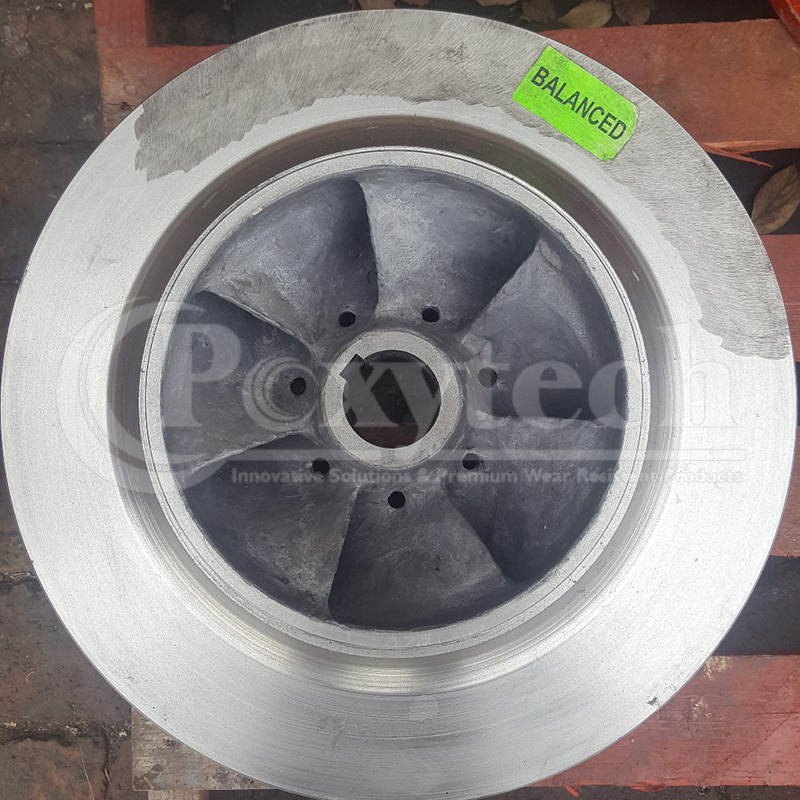 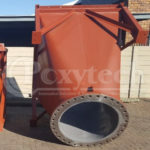 Steel surfaces should be dry grit blasted to SA 2.5 with blast profile between 50-70 microns to leave the surface free of oil and grease contamination. In cold conditions it is recommended to warm the substrate to 20-35oC. 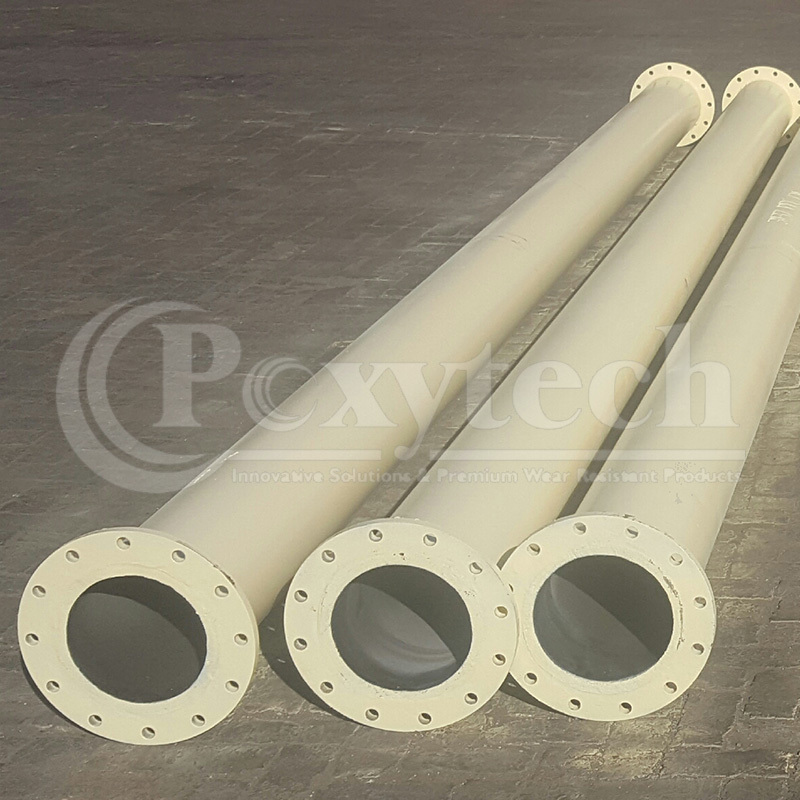 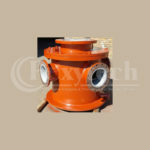 POXYPASTE – PLS105 is a flow able epoxy ceramic specially designed to be applied in slurry lines etc. 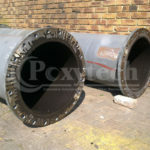 from a thickness of 6mm upwards, depending upon the application. 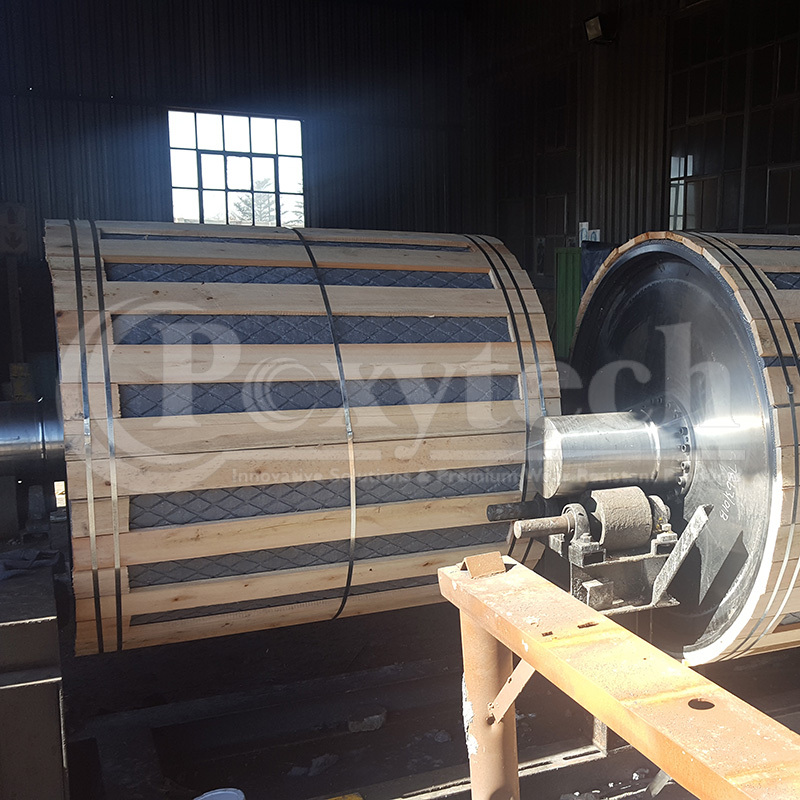 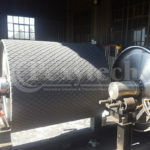 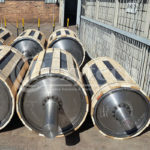 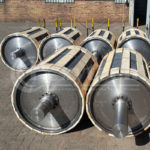 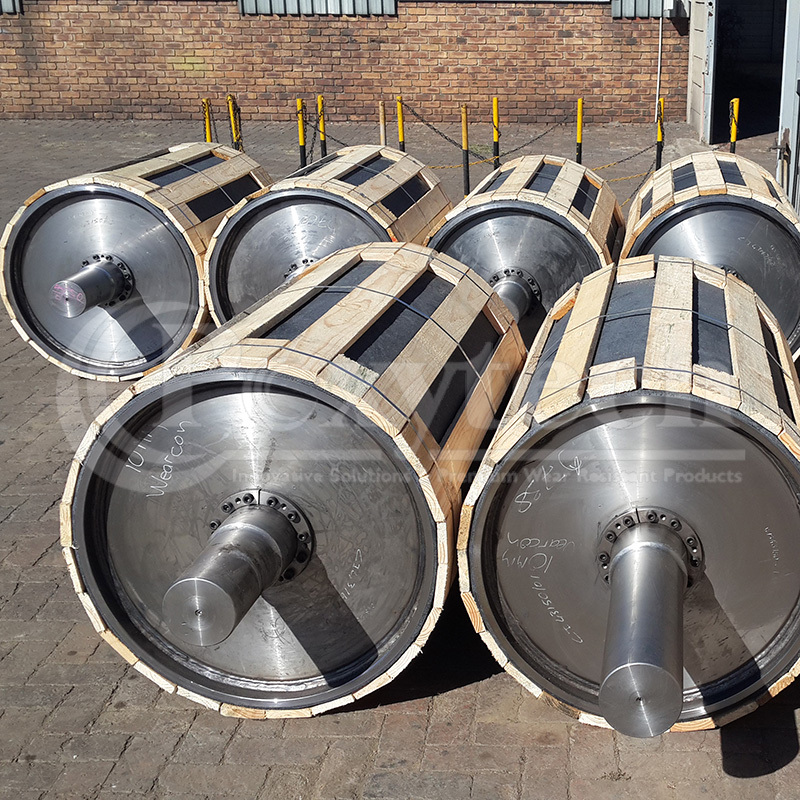 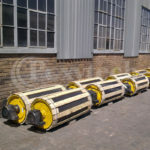 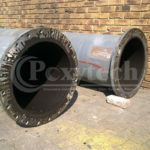 Sizes: from 500mm to 9m lengths and/or 150 diameters to 1 diameter. A properly prepared surface is important to the end result and lasting durability of POXYPASTE – PLS105. Steel surfaces should be dry grit blasted to SA 2.5 with blast profile between 50-70 microns to leave the surface free of oil and grease contamination. 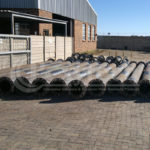 In cold conditions it is recommended to warm the substrate to 20-35oC. 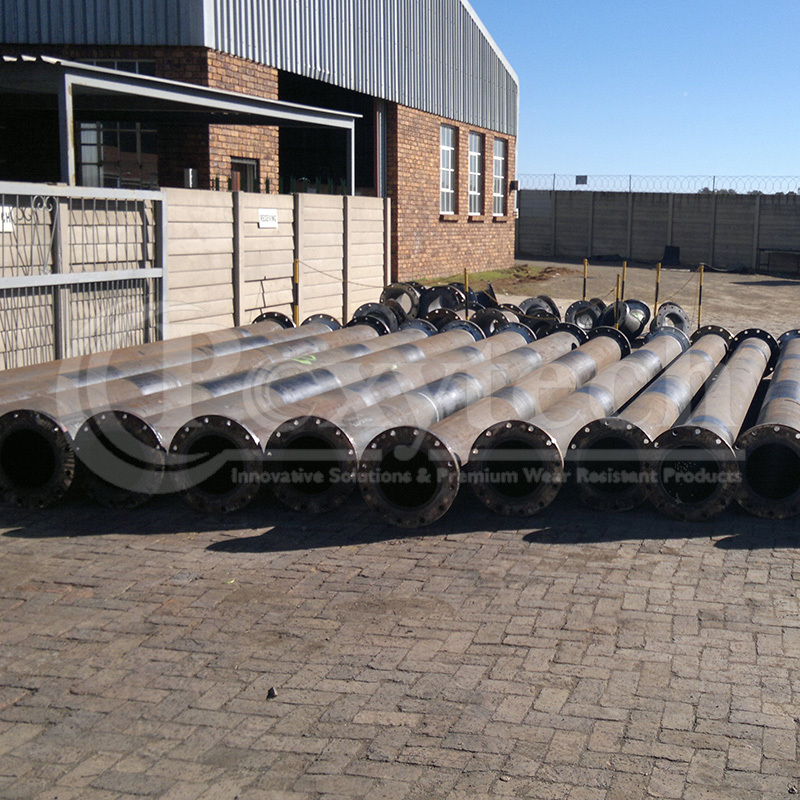 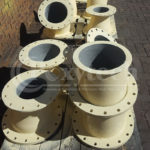 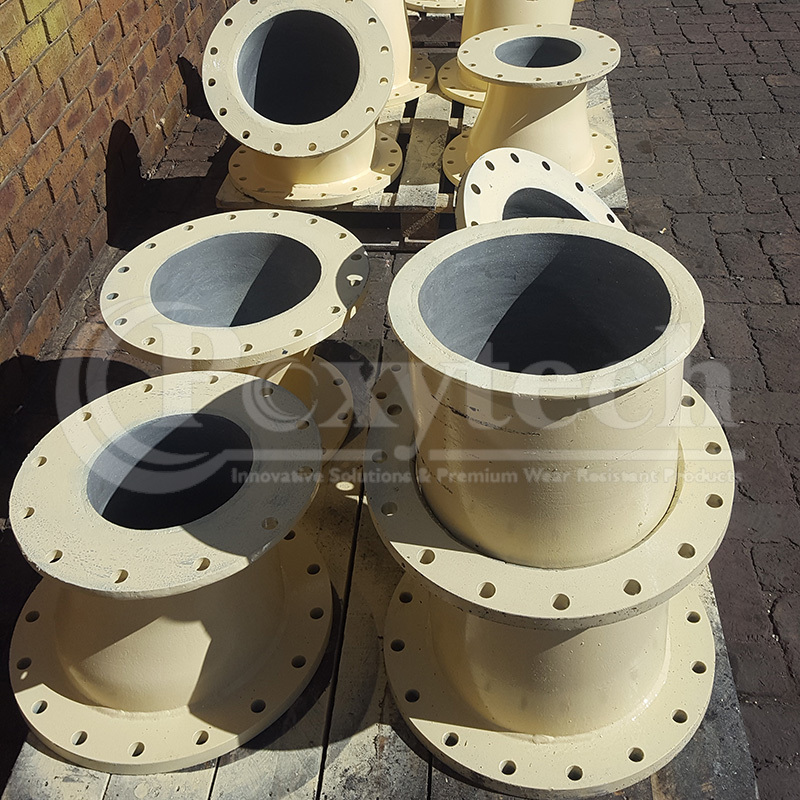 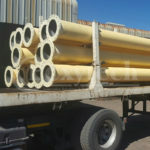 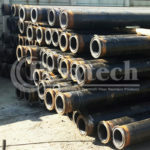 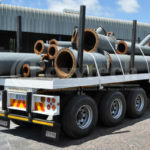 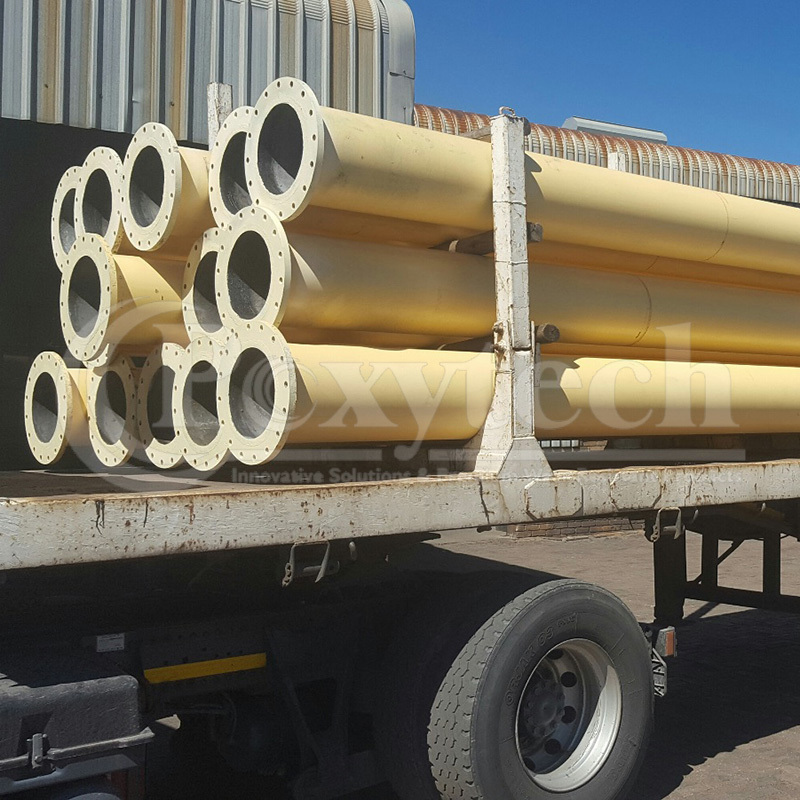 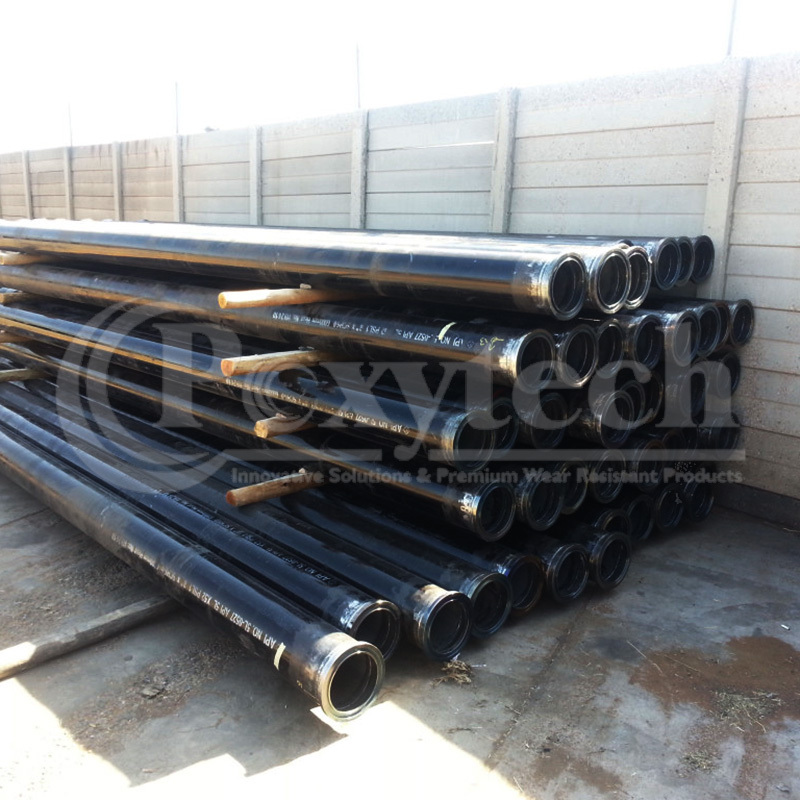 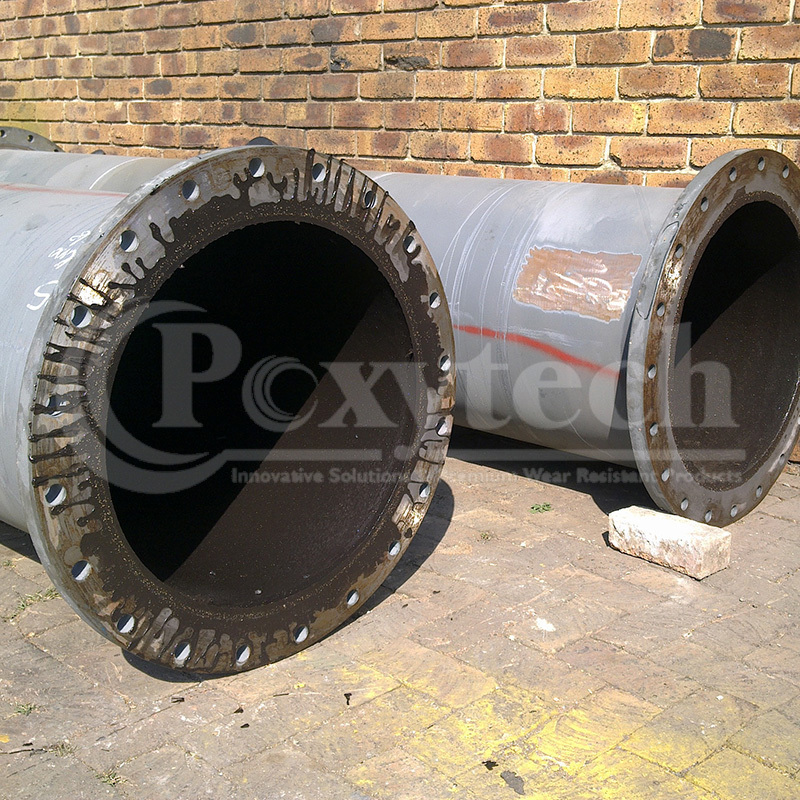 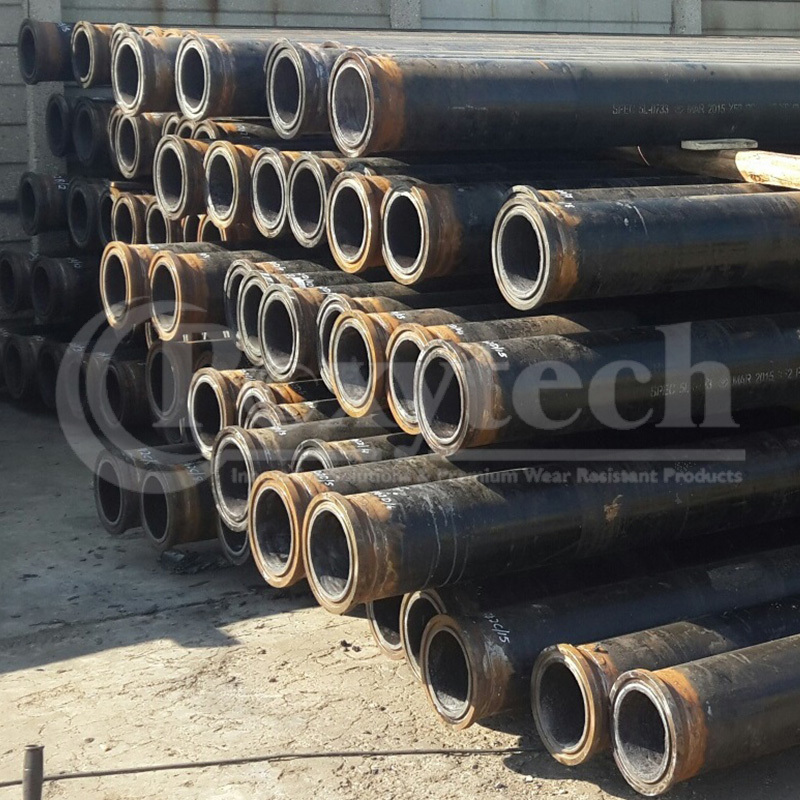 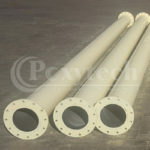 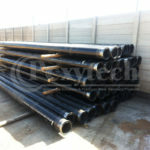 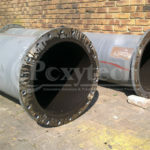 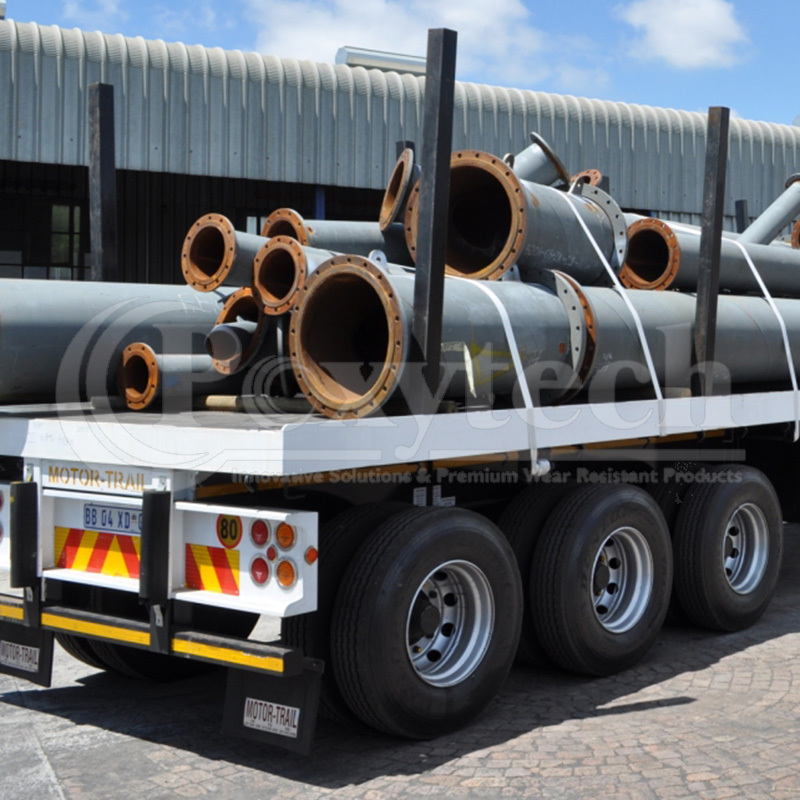 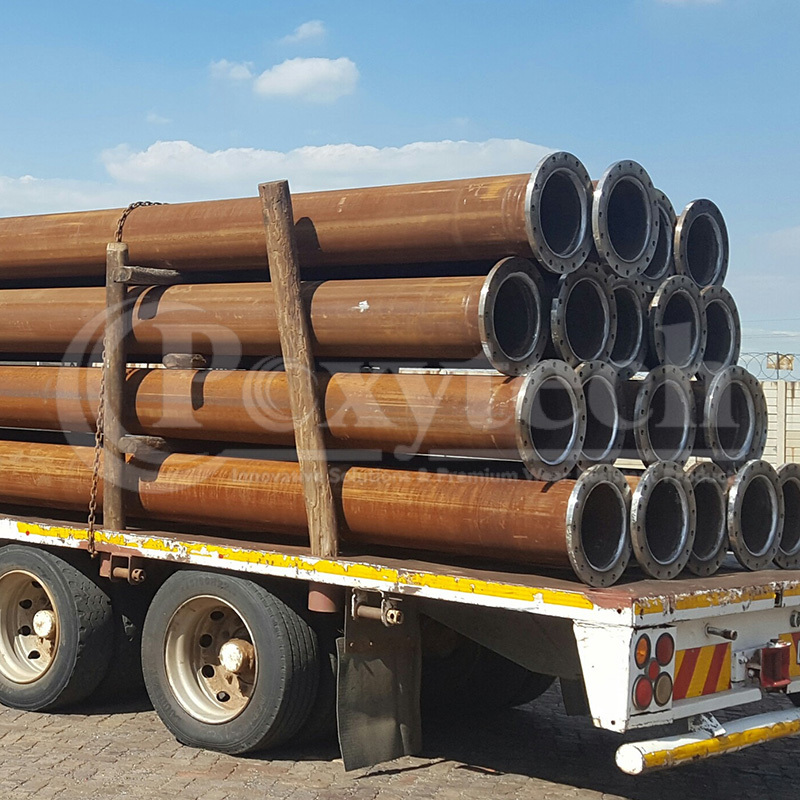 Pipes from 150mm-1meter diameter from 500mm lengths up to 12 meter lengths. 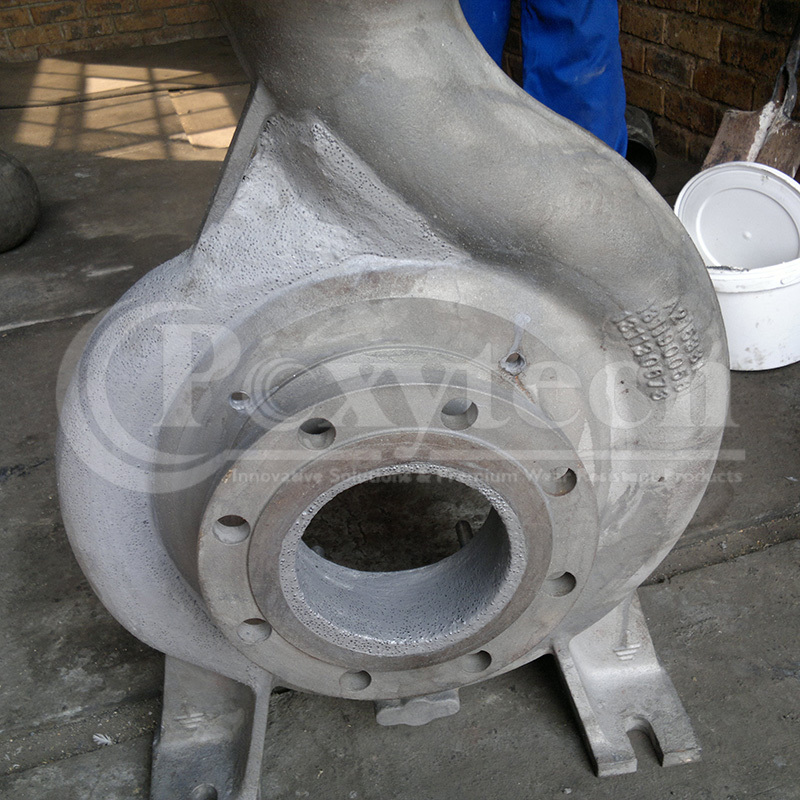 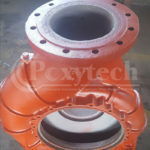 POXYPASTE – PLS105 has proven to extend the life of your slurry lines and to minimize unnecessary expenditure. POXYPASTE BWS106 is applied to the surface with a brush or roller to the required thickness and can be applied to a thickness of 1mm or greater, depending on the application. 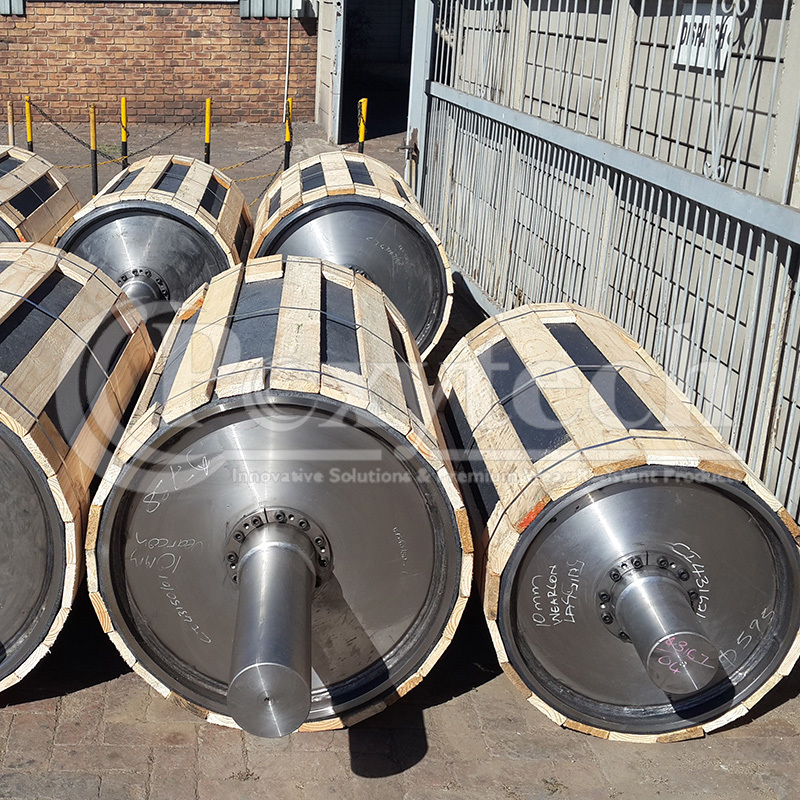 A properly prepared surface is important to the finished result and the lasting durability of POXYPASTE BWS106. The surface should be sandblasted to remove grease, oil and loose contaminants prior to application.